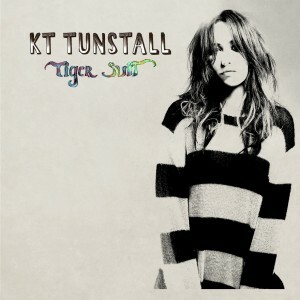 September and October have bombarded me with new music from some of my favorite artists and KT Tunstall’s Tiger Suit (released October 5th, 2010) is no exception. KT has gone a bit more in the dance/pop direction with this one, but she still retains some of her rock guitar-driven style that I’ve come to love. I’ve been listening to this album pretty much non-stop since I got my hands on it and I have yet to pick out a favorite, although “Fade Like A Shadow” and “Come On, Get In” are the ones that keep getting stuck in my head. The upbeat songs make me want to dance, while the the slower, heavier songs have me digging into the lyrics booklet for understanding. Each time I listen I pick up on something I didn’t hear before. If you haven’t had a chance to hear Tiger Suit yet, you can check out a preview of the album on KT Tunstall’s web site by tweeting or sending a link to facebook. If you like what you hear, I suggest following KT Tunstall on Twitter or Facebook as well. She’ll be touring this fall (10/31-12/1) and you don’t want to miss out if she comes near your town! The not-so-fine print: I received a copy of KT Tunstall’s Tiger Suit in exchange for posting this review and was not compensated in any other way.